Today, we discussed about a project of fund raising ideas with the group member in the morning at the Action’s office. Most of the groups decided the general information of the project. 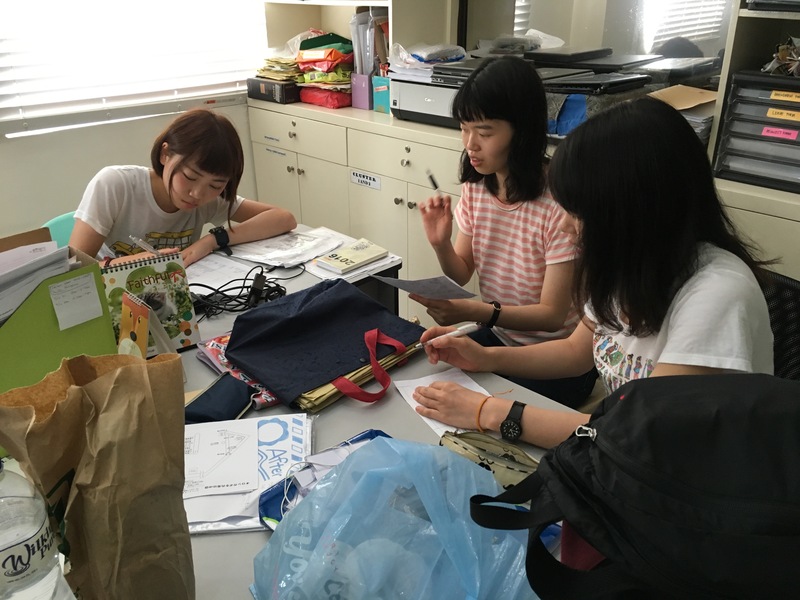 All groups shared each contents and Ms. Machi commented us to make our project better. After the project work, we took a jeepney to meet our “homestay family”. Everyone was very excited for the home stay but a little nervous. We introduced ourselves to host families and they were served very delicious lunch and we ate with our host families. The children in general family were very shy, so they did not approach to us like the children in JIREH HOME. However, the children opened their their minds through the toys of Japan. I gave them the soap bubbles and paper balloons. The children came to like these toys very much, so I was also happy to see them playing. One of the girls in the area had her birthday and her mother invited Japanese people to her birthday party. She said “it’s not only my daughter’s birthday party, but also all Japanese’s welcome party”. Her mother served us pasta, chicken, and chocolate cake. We could feel Philippines kindness. The host families were interested in talking with Japanese and they gave us many questions. 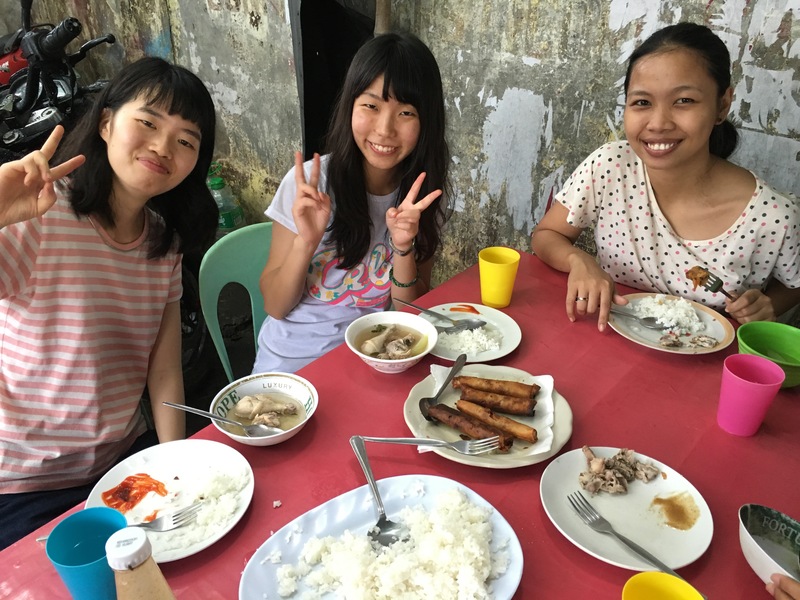 Also, we could learn about the culture of Philippine, such as meal and daily life. I will not forget the warmth of a happy family. ACTION Offers FREE Massage Therapy Training in QC!